This ultra cleansing program, designed by Dr. Bradford DVM, PhD, uses foods, herbs, and natural cleansing agents to purge a dog’s body of all toxins, allergens, and inflammation to reverse the harmful effects of poor diet, medication, vaccination, and pollution resulting in proper digestion, clear skin & coat, reduced joint pain, and overall balance in the body. Categories: Supplements, The Transform Detox Tags: Activated Charcoal, doggie detox, Probiotic, Total Body Detox for Canines, Total Body Detox for dogs	SKU: transform-total-body-detox-for-canines. Give your dog the gift of a longer, healthier life by putting him on the doggie detox program. Created by a veterinarian, this unique four step program will not only improve the quality of your dog’s life, but nourish his body as well. You’ll notice that he has more energy, brighter eyes, and a lustrous coat! He’ll run easily on pain free joints and allergies and yeast infections will all but disappear! It’s no secret that owners love their dogs. Sometimes even more than their significant others! So it’s now doubt that you want the absolute best for your dog. A healthy dog will have a longer and better quality of life. Nothing ensures your dog will be healthier than having him do the doggie detox. Just like their owners, dogs absorb toxins into their bodies that can remain dormant for a while before causing allergies, yeast infections, and even worse, cancer. Our total body detox for canines was created by Dr. Bradford DVM, PhD who restored his horse, Clover, back to health with a combination of food, herbs, supplements, and antioxidants. Our formula, specially created for the canine physiology will purge your dog of the harmful accumulation of toxins from vaccinations, poor diet, medication and the environment. Best of all, there’s not changing your dog’s diet or only offering him bland foods. Simply sprinkle these powders on his food in the right sequence and your dog will quickly be on the way to superior health! Step one: Transform K-9 V-Flow – This formula is designed to prepare your dog for the detoxification process. Packed with the world’s most powerful detoxifiers, organic ground coconut and activated charcoal, this step alkalizes your dog’s body. You’ll see an almost immediate relief from allergy symptoms caused by environmental contaminants that your dog comes into contact with daily. Step two: Transform K-9 Purification – Filled with powerful herbs, this formula helps to combat the ravages of inflammation that rob your dog of his youthful movement. It will also clean, repair, and strengthen all of your dog’s vital systems and organs. This herbal treatment will also get rid of the bad bacteria and toxins in your dog’s body, further decreasing sensitives to allergens and toxins. 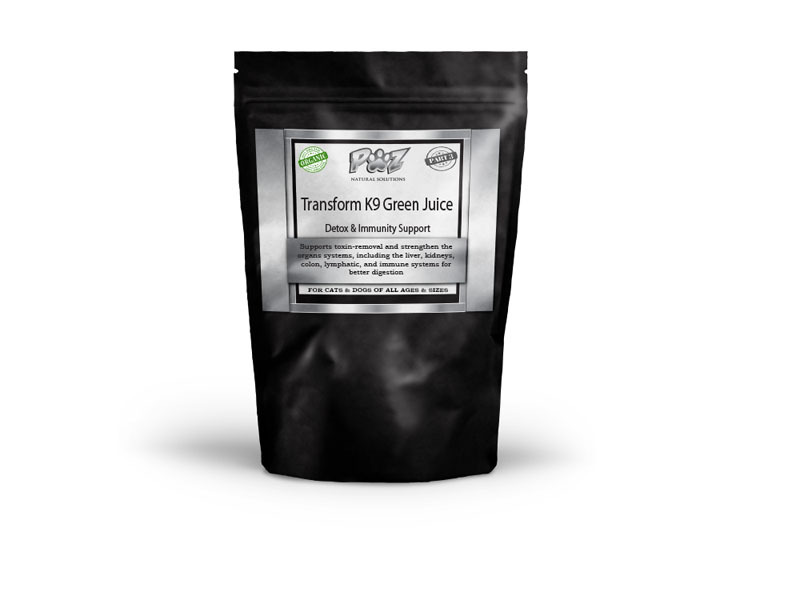 Step three: Transform K-9 Green Juice – Driven by Superfoods, this formulation continues the toxin removal that the previous step started. Empowering your dog’s immune system, this step also helps to prevent gastrointestinal symptoms such as diarrhea and constipation. This superfood also replaces the toxins with the micro-minerals your dog needs to live a happy fulfilling life. Step four: Transform K-9 Probiotic Powder – This is an absolute must have if your dog is on any kind of medication. Most medicines cause problems with the intestines health bacteria colonies. 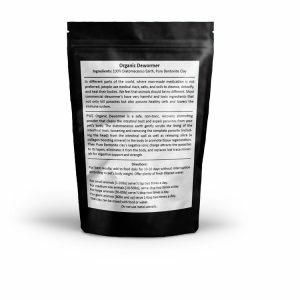 Our Probiotic Powder restores the GI balance, which will help eliminate inflammation, leaky-gut, allergies, and obesity.